Step 1: mix rice flour with a splash of water to make the substance a liquid. Step 2: add in your vegetables, meat, and eggs. Step 3: cover until cooked. Gauri Gurung recommends that you try Suji Ko Haluwa, a healthy, soft and sweet snack. Gauri has fond memories of the dessert being a social and easily sharable treat. Step five: Finally, add cashews, raisins, almonds, and cardamom, keep stirring until the entire mixture is well covered. 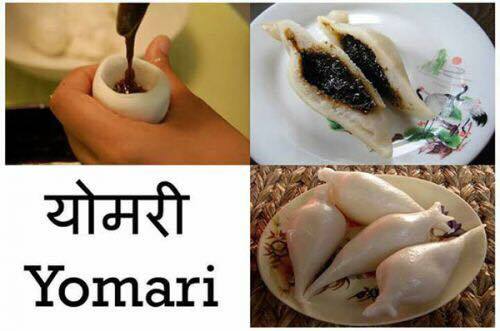 Shristi Shrestha loves Yomari, a delicacy of the Newar community in Nepal. It’s a steamed dumpling that consists of an external covering of rice flour and an inner content of sweet substances called chaku. It’s such a beloved treat that there is an entire festival that celebrates it. “As the name itself says, “Ya:” meaning to like and “Mari” meaning delicacy. Once you get the taste of it, you keep craving for more!” Says Shristi. Pro Tip: To make Khuwa YoMari, replace the molasses with Khuwa and add sugar. Cashew nuts and grated coconut can also be added as desired. Step one: melt the chaku and pour a cup of hot water to soften. Heat the pan until chaku is completely melted, then add crushed fried sesame seeds. Step two: In a bowl, take rice flour and add lukewarm water. Mix it together using your hand or a food processor until the dough is very soft but not runny. Step three: oil your hands with vegetable oil to make sure that the dough doesn’t stick to your hands. Then, take a small portion of kneaded dough in your hand. Make an oval shape or egg like. From one side, make a hole using your fingertips, gradually pressing the dough. Fill YoMari with the filling and close, giving pointed shape. Step four: after several pieces, put them into a steamer for about 10-15 mins. Step five: the sweet and fluffy Yomari is ready to be served! 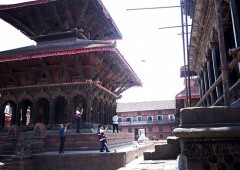 Pooja Sharma Dhakal’s favorite dish is Bhatmas Sadheko. 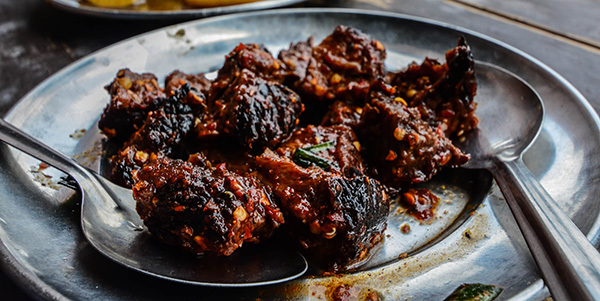 It’s a classic Nepali dish, enjoyed by locals across the country. Step one: fry soybeans (with oil or without oil) in a pan. Step two: spread the fried soybeans in a large plate and crush. Step three: pour crushed soybeans into a bowl with finely chopped ginger, garlic, onion and green top onions. Mix. Step four: mix in salt, red chili powder, lemon juice, and coriander leaves. Step six: heat up oil in a pan and add thyme seeds, once they’re golden brown, turn off the heat and add in turmeric powder. Step seven: pour the oil mixture into the soybean mixture and your bhatmas sadeko is ready to serve! Pro tip: It tastes best with rice. 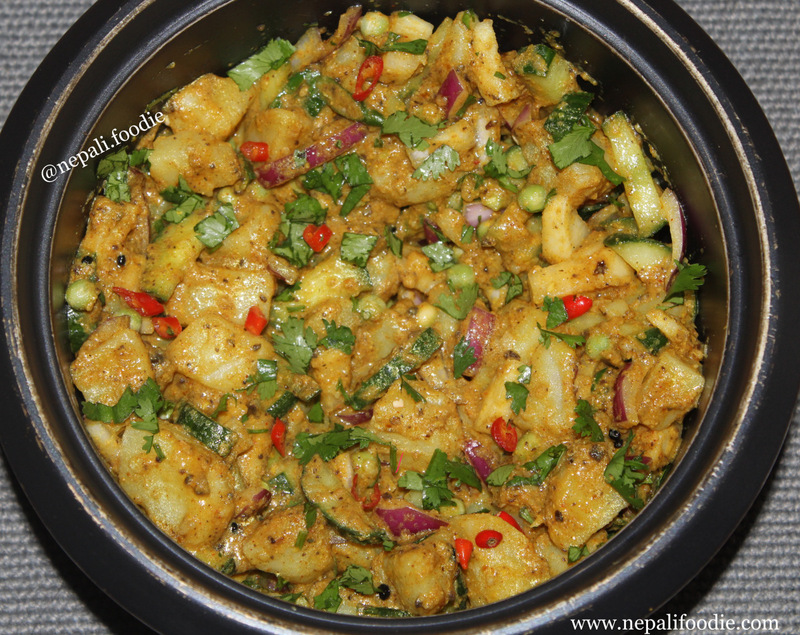 Nilima Maharjan comes from Newar background, therefore is especially fond of Newari dishes. Her favorite local dish is Buff Choila. While Buffalo may not be easy meat to source, you can replace the ingredient with beef or bison. Step one: chop up meat into bite-sized pieces, then boil it in a pan with water for about 20 minutes. Step two: remove the meat and put it aside to cool down. Then dry the mean in an oven or over charcoal. Step three: in a large bowl, mix salt, red chili, and chopped tomato, onion, shredded garlic, ginger turmeric powder and stir it well. Step four: mix in the meat and add in coriander. Step five: your meal is ready to be served! 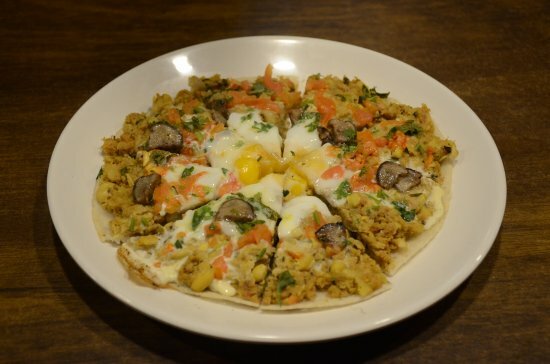 Rabi Sthapit recommends a local Newar favorite, Bara or Nepali pancake. This crispy treat pairs well with a local whiskey, “Aila,” and are popular during festivals, especially Sithi Nakha during the month of June. Prep: Wash and soak the lentils for one or two days. Step two: add spices to the batter and mix well. Step three: heat up a skillet, add in oil and small balls of the batter, press down and cook it on medium heat until the edges are crisp and golden brown. Step four: transfer to a dish and serve with pickles and curries. This entry was posted in Uncategorized by royalmt. Bookmark the permalink.